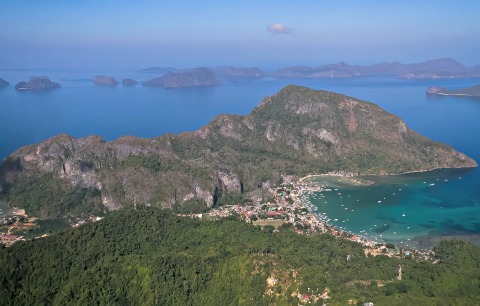 The year 2017 saw Palawan faced several “enemies” such as natural disasters, terror from the New People’s Army, and travel warnings from various foreign embassies which threaten the province’s tourism industry, and confusion in the leadership in the capital. “The destruction Vinta left on the 23-hectare island barangay of Mangsee and the number of people killed was nothing anyone has ever imagined happening,” said Joy Tabuada, editor and publisher of the local online website Palawan News. To date, the number of confirmed dead was placed at 32 with 17 still unidentified. The number of missing persons stands at 59. A total of 1,519 damaged houses while 143 families are still in the evacuation centers. “This was really sad, and I don’t know what to make of it. Probably, what matters now is what is the local government doing to help those whose homes were destroyed, those who lost their loved ones? No blame game here; just help, and be prepared in the coming years because there would be more weather disturbances that would probably be much worse than Vinta,” said Clarina Herrera-Guludah, broadcast production supervisor of the local DWMR Radyo Pilipinas. According to Provincial Disaster Risk Reduction Management Office (PDRRMO) officer-in-charge Cruzalde Ablaña, Palawan’s Provincial Disaster Risk reduction Management Council (PDRRMC) has proposed a PHP125 million disaster fund for 2018, slightly higher than PHP112 million for 2017. Vice Governor Dennis Socrates, in a media conference on December 29, said that for isolated island barangays like Mangsee, whose population is more than 10,000 residents, the PDRRMC had already recommended the setting up of old-fashioned communications systems, like single sideband (SSB) radios. “The most important lesson learned is the lack of communications equipment. The people lost at sea, apparently did not know that there was a storm. There is an apparent need to invest in old-fashioned radios. We cannot rely on the use of cellular phones,” the vice governor said. In long-term planning, municipal government should use parts of their calamity funds in strengthening preparedness and readiness, he said. In January 2017, the residents of Puerto Princesa woke up to the news that then-Mayor Lucilo Bayron was discharged from service and was permanently disqualified from holding public office as ruled by the Ombudsman. “It was a seismic event that no one saw coming, and it made leadership at the local level unstable. The control struggle between Bayron and Vice Mayor Luis Marcaida put whatever plans there are for the city in the backseat,” said Tabuada. “People in the city government do not know who to follow; contractors of infrastructure projects and others had difficulty collecting payments because of the predicament in leadership,” she said. The problem stemmed from a contract Bayron’s son Karl signed with his mayor-father for a non-plantilla position in the city government involving the Bantay Puerto-VIP Security Task Force that entitled him a salary of PHP16,000 from July 1 to December 31, 2013. The older Bayron was charged with grave misconduct and serious dishonesty for failing to disclose that Karl is his son. On May 10, 2017, major national news dailies reported that the U.S., Britain, and Canada governments issued travel warnings to their citizens, alerting them of possible threats of kidnapping by terror organizations, particularly the Abu Sayyaf Group. The kidnappings would reportedly be carried out in favorite tourist destinations in Palawan like the Puerto Princesa Underground River, El Nido, and Coron. “These travel advisories are the enemies; they affected the tourism industries of Puerto Princesa and Palawan, and you can actually feel that they weakened no matter how we say or hashtag it that Palawan is safe,” said Ed Agarap, field reporter of FM 88.7 Radyo Bandera. Despite these travel advisories not being lifted, Agarap said “cruise ship tourism is really promising next year” with the expected arrival of nine voyages that would contribute more or less 10,000 tourists. Provincial Tourism Office (PTO) chief operating officer Maribel Buñi admits that this year (2017), the issuance of the travel advisories would have effects on Palawan’s tourism industry, but their impacts were not as grave as everyone expected. “Yes, the travel advisories posted effects. Travel advisories are the bane of every tourism industry in the country. But in Palawan, the impact was rather marginal,” said Buñi. Based on partial data gathered by the PTO based on accommodation establishments, from January to December this year, the number of guest arrivals has already reached 899,290. “This is not yet complete, this is just partial as we are still expecting to receive the number of guest arrivals from Puerto Princesa and other municipalities,” she said. By 2018, she said the province would be strengthening product development, sustained promotions, and firming services at an equal level. Three months after the Marine Battalion Landing Team 4 (MBLT4) was placed in southern Palawan as its new area of assignment, its focused military operation (FMO) snatched the control of a 12-hectare hinterland area the communist terrorists used as a refuge and drill camp. Marines and Army troops under the Joint Task Group South (JTGS) were able to take control of the enemy’s hideout and training camp site in the isolated Sitio Kulban, Barangay Samariñana, Brooke’s Point town in southern Palawan on June 27. “This news did not surprise me anymore; it’s only a matter of time to discover that there are really NPA members who are operating in the province, and they killed two soldiers who just went to the market to buy food,” said Gerald Ford Ticke, editor of the weekly newspaper Palawan Times. He was referring to the killings of Private First Class Joene Gagogas Galiste and Private James Melchor Porol of the Marine Battalion Landing Team 12 (MBLT 12) stationed in Roxas town, northern Palawan. “After these, more camps were discovered, more illegal firearms and other war materiel were seized, and most importantly, many surrendered,” added Agarap. Agarap said if there were good news in Palawan that happened this year (2017), it would be the military’s focused and civil military operations which seemed to be working to invite more armed members of the NPA to surrender. “Perhaps this is the year where we saw a lot of members of the NPA surrendering,” he said. MBLT4 commanding officer Lieutenant Col. Danilo Facundo said that “by next year (2018), there will be more armed members who will return to government fold” as they would be continuing their focused and civil military operations.